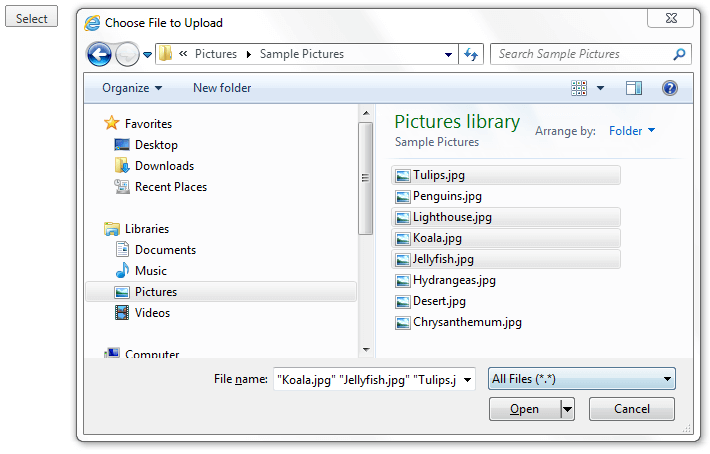 With RadCloudUpload it is possible to select multiple files. This can be achieved by setting the MultipleFileSelection property to Automatic. Multiple file selection is possible only when client's browser supports HTML5 File API (FireFox, Chrome, Opera and IE10+).